Fans have become an integral part of our life. Did you know the uses of fans? Well, most certainly you do! They are not only the ones that will give you some cool air but are also the ones used in the bathrooms and kitchen as the exhaust kind. All these fans have vanes in them that rotate on the air. These vanes are also known as the blades. These fans are mostly powered by electric motors and some of them however uses hydraulic motors, solar power or even internal combustion engine. Technically, anything can be called as a fan, as long as the vanes or blades in them produce currents of air. They produce air flow in high volume and through low pressure. These blades will rotate when it is exposed to an air stream. Here are some of the uses of this product. Coolants: Fans are used in vehicles to act as cooling agents, thus preventing over heating and saving the vehicle from any damage. They are also used as a cool source of air at homes and other spaces. Winnowing: Another wide spread use of fan is for winnowing. Winnowing is the process of separating chaff from cereals. They are used in industries. Removing dust: Fans are also used in vacuum cleaners, where the dirt is sucked out of objects such as carpets, door mats, curtains etc. However, the first known use of fans started as a punkah fan, which was handheld in around 500 BCE. 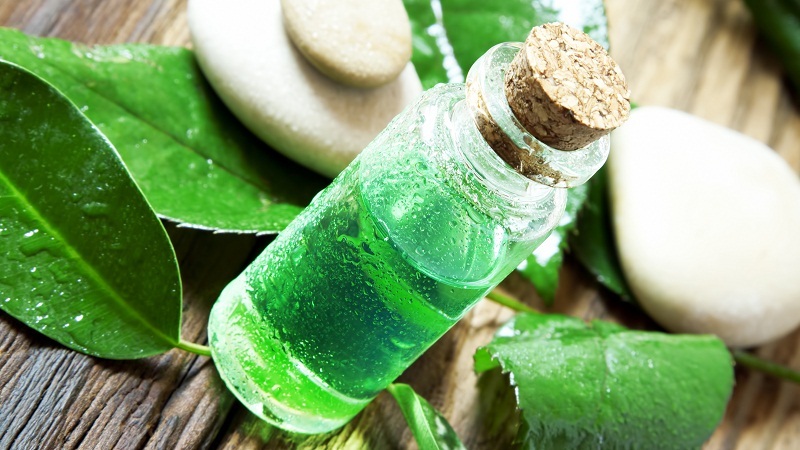 It was made of bamboo or sometimes from other plant fibres. With the British rule, the punkah was meant to mean as a large fan fixed to the ceiling and that’s what we see today. We often think fans are just one of a kind, the one that gives us air. What we fail to see is the many kinds it comes in. 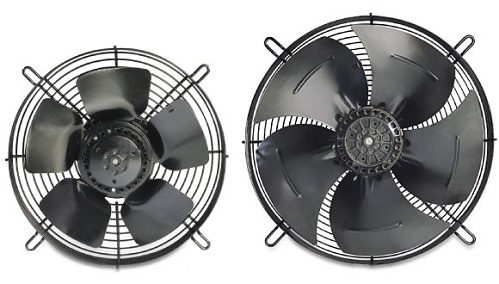 Here are some of the kinds of fans that are available and what they are used for. Check them out. The axial fans come with blades that allow the air to force itself to move parallel to the shaft, around which the blade typically rotates. This kind of fans are typically applied in air conditioning and other industrial areas. They are used mainly in small cooling fans and sometimes as coolants for the giant fans that are used in wind tunnels. The following are the areas of application of the axial fans. The basic elements of the blades, motor, table fan are the blade motor housing, guard, oscillator, gear box and an oscillator shaft along with the many others. Table fans are the most commonly found kind of fans are intended for residential purposes. the other classic use of axial fan is in the application of a ceiling fan. 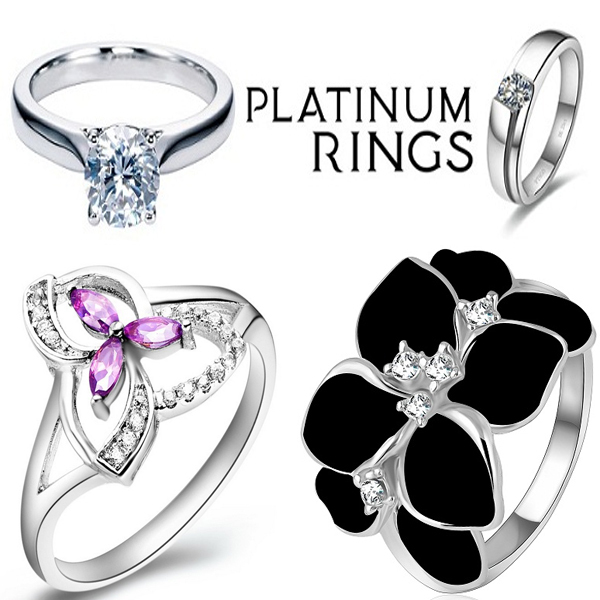 They are commonly used for both industrial and residential purposes. They rotate at low speed and do not have any blade guards. Axial fans are also used as coolants for the components inside a computer. these kinds of fans also find their application in automobiles. It offers engine cooling, thus preventing over heating of the engine, by way of acting as blowing of air through a coolant filled radiator. This kind of fan is used where there needs to be control of static pressure within the supply ducts. The blades are arranged to rotate upon a control-pitch hub. 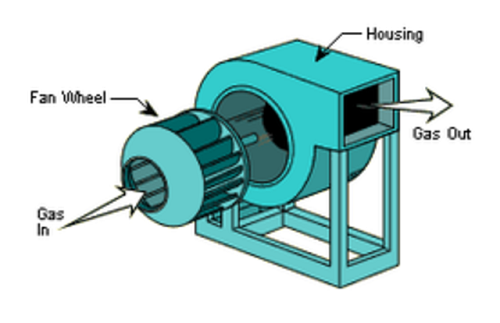 The wheel of the fan spins at a constant speed and the blades generally follow the control pitch hub. When the hub moves toward the rotor, the blades tend to increase their angle and thus increases flow. Besides these, these kinds of fans are used inside audio power amplifiers will draw heat away from the electrical components. These are some of the areas where the axial fan is used. Their general applications and mechanisms are plenty. Centrifugal fans are called ‘squirrel cage’ or sometimes as ‘scroll fans’. 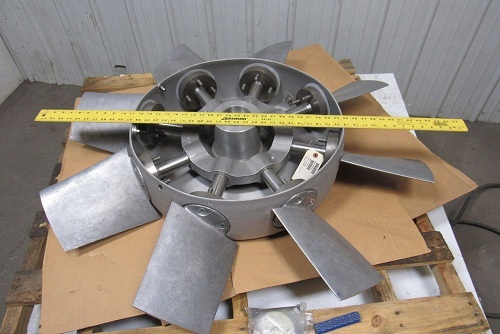 They have an impeller, which in turn contains a central shaft. Around this, a set of blades form the shape of ribs. The blades use centrifugal force to blow air at right angles. 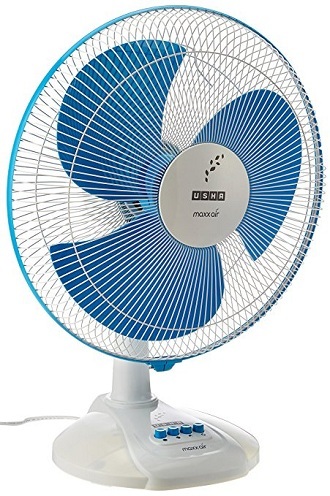 These kinds of fans are known to produce more pressure for a volume of air. The primary purpose of a centrifugal fan is to quickly escalate the movement of a gas, air or liquid that pass through them. The driving mechanism of the centrifugal fan is fascinating and is an important aspect of the entire set up. The direct drive and belt drive are the two mechanisms that it applies. 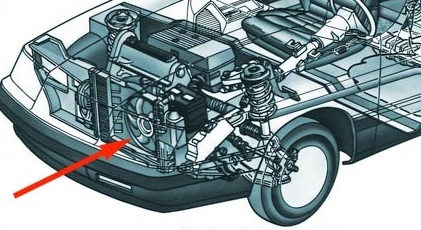 In the direct drive, the drive shaft of the fan is connected to an electric motor. Thus, the speed of the blower or the fan can be controlled by the speed of the motor. In a belt drive mechanism however, the sheave set is placed on a motor shaft and the belt of it is used to transfer the mechanical energy from the motor to the drive shaft. Therefore, here the speed of the fan will depend on the ratio of the diameter of the sheaves, to the diameter of the fan wheel. However, they are quiet when compared to the axial fans. Here are some of the examples of centrifugal fans. They are known as the tabular fan and is most commonly used in Heating Ventilation Air Conditioning industry or HVAC. Since the fan is long in diameter, the flow stays two-dimensional away from the ends of it. The common household tower fans that you see are also the cross-flow fan. One thing that sets apart from other kinds of fans is centrifugal will let air flow through the fan, rather than from an inlet. 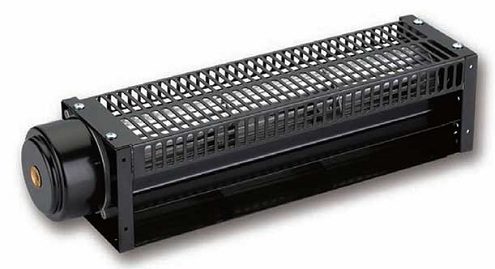 Cross-flow fans will deliver air wide and allow uniform air flow. Their rectangular shape will enable them to be set up even in the corners of the area. They typically less power too. Unlike the radial fans that you see, cross-flow fans the main flow of this will move transversely across the impeller. Also, their applications include in melting machines, humidifying equipment, air curtains, automotive air cooling, dying units and transformer air cooling. So, if after all this if you are wondering how to choose a good fan for your home or office needs, here is a quick guide to it. How to Choose a Good Fan? Room size: Consider your room size and then decide accordingly. For example, a room up to 50 square feet will need a 29” optimal size fan. Alternatively, for a large room or for the bedroom go for the 50” or 52” size optimal fan. Use of the Room: You generally won’t need a fan in your warehouse or garage. But in case you need, go for small ones just depending on the rare use. 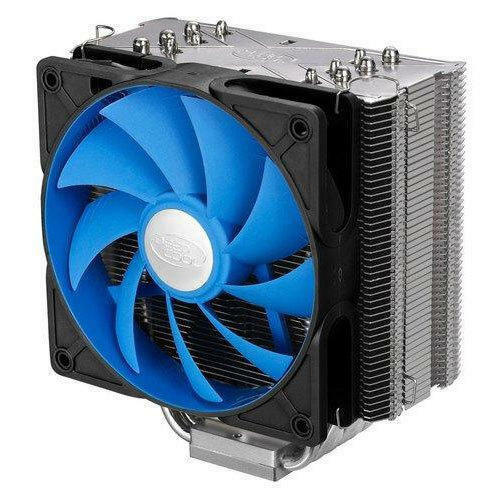 This case you can invest in a small size fan. Amount of air available: Give a thought to the amount of air that room gets. Depending on this, your choice to the right fan will be easy. Room in question: Your kitchen is generally going to be warm all the time, weather you are cooking or simply baking. Ceiling fans have the tendency to increase the warmth sometimes, unless you have a floor plan. Therefore, table fans will be the most appropriate in your kitchen. Think through these lines to make sure you make the best purchase. Well, while of the fans look alike, their minor changes to the design or working has a lot of role to play in the functions they will serve. While some are strictly for industrial purposes, others are meant only for residential uses. Make your right choice by following our tips to choosing the different kinds of fans available. But before that, get started with some basic uses of fans!